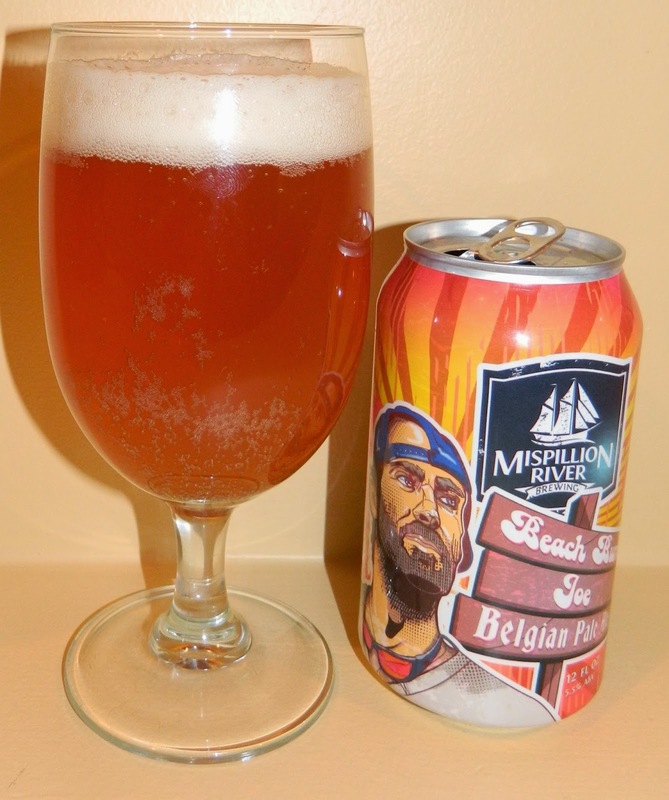 A combination between an American pale ale and a Belgian golden ale. Light crisp and refreshing, with a fruity characteristic from the Belgian yeast, and fully attenuated to provide a medium body and extremely drinkable beer. This is a fairly recent one given to me by my friend Joe. Recently I have been reviewing older beers that have been sitting around. I thought I would try something more fresh. I know nothing about this beer or the brewery so this will be a nice fresh experience all around. 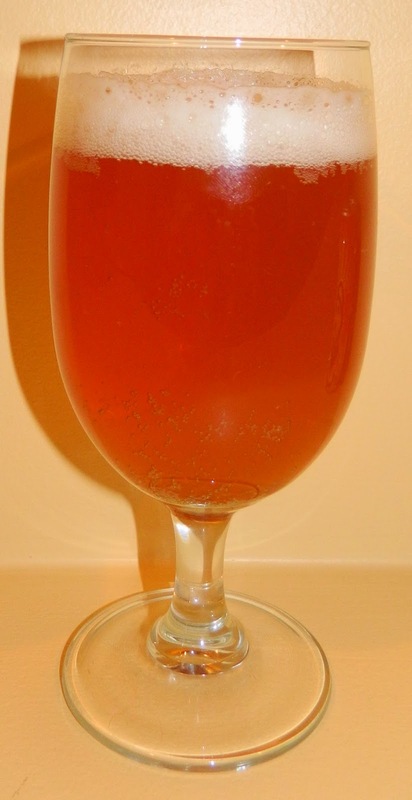 The beer pours a hazy golden color with copper hues and a bright white head. The nose is nice with clean pale malt aromas with notes of citrus. What a great first sip, clean and refreshing with just the right about of bite on the finish. The taste starts out with a touch of malt sweetness up front on the tip of the tongue following by a cleansing effervescence over the tongue in the middle of the sip. The back end is very easy drinking with an almost effortless swallow. The finish is very nice with clean crisp pale malt flavors ending in a touch of earthiness and a slight hop bite. This finishes clean with very little aftertaste. This is such an enjoyable and drinkable beer I’m afraid it’s going down to fast. I’m going to have to put it down for minute to let it warm up. I’m sure glad I let this warm a little. The Belgian notes are really starting to come out now as it warms and opens up. The finish is much better now with earthy Belgian yeasty notes making their presence known on the finish. Again I am turn by my overall experience and the Belgian Snob style rating. Overall this is a B+ to an A but strictly by the Belgian Pale Ale style it’s more like a C+ to a B. B | Beach Bum Joe is a very nice clean and refreshing Belgian Pale Ale with nice light malt flavors finishing with notes of citrus and Belgian yeast.